Smiley Man loves the quiet book I posted about last week. It surprisingly gives him a lot more fine motor practice then I thought it would. Since the quiet book is so good for fine motor, I thought I would do some shape activities for children that use gross motor skills. 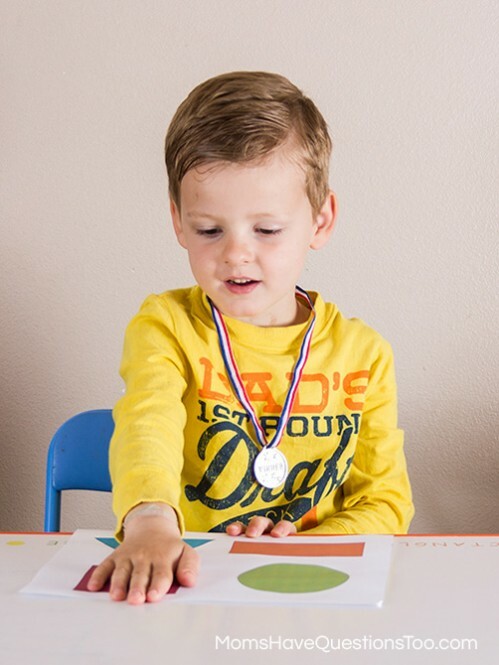 In case you don’t know already, if a child uses gross motor skills while he is learning, it can help make the learning more permanent. Since I want all the work I have done to teach shapes to Smiley Man to be permanent, this seemed like a perfect solution. I made two free shape printables (combined in one file) for today. One you can use at a table. It does not give as much gross motor practice, but it still gives some. 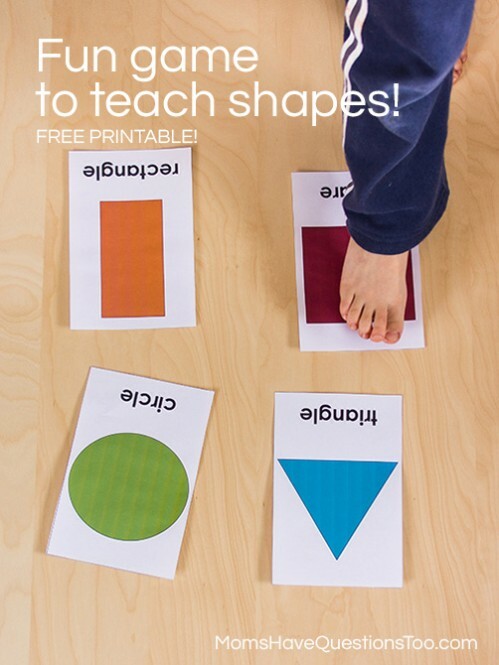 Simply print off the first two pages of the shape activities in either color or black and white. You can laminate them for durability, but that is totally optional. Next, call out a shape and have your child slap the shape. 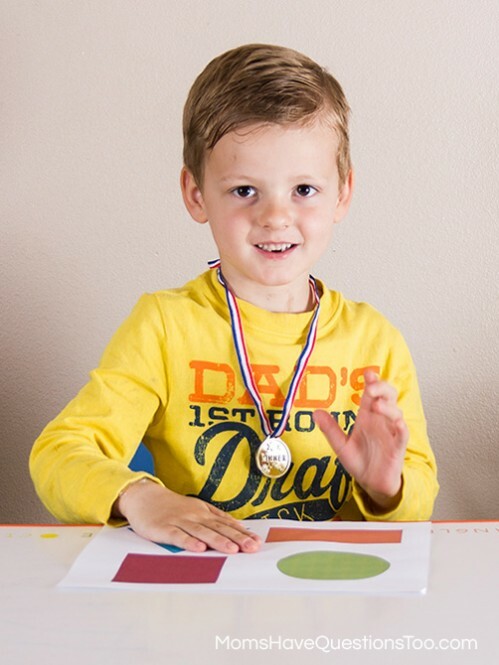 You might need to go over the shapes a few times with your toddler or preschooler, but if your child knows his or her shapes pretty well, then that probably isn’t necessary. I put the easier shapes on one page (square, circle, rectangle, triangle) and the more difficult shapes on the next page (oval, diamond, heart, star). If your child is very young (like Smiley Man), you can just use the page with the simple shapes. 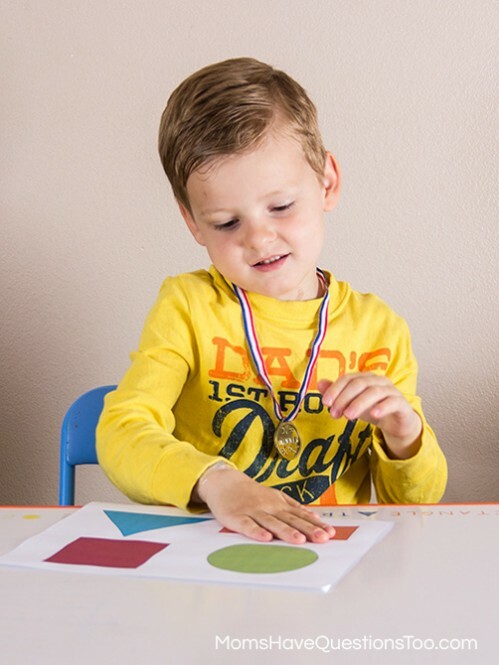 If your child is in preschool and just needs extra practice with the more difficult shapes, then you can just use the page with the more difficult shapes. The other game that goes along with the shape activities uses a lot more gross motor skills. 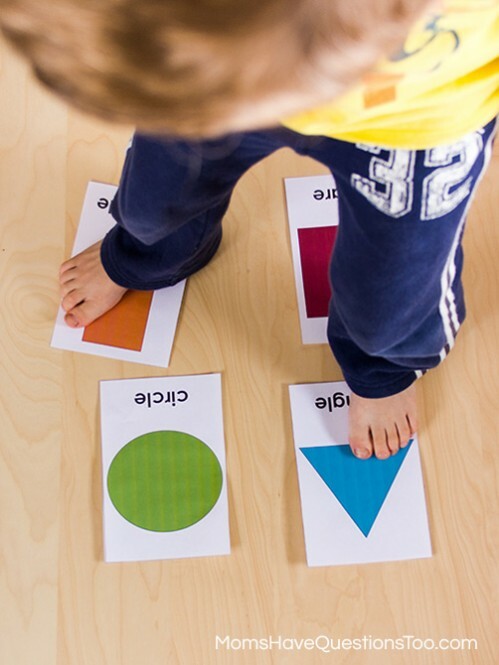 You play it exactly the same as the table game, except you put the shapes on the floor and your child jumps on the correct shape. Smiley Man likes this game, but he isn’t very good at the jumping part. This is a great shape activity for preschool though. Little Bear loves this game and will play it until I get sick of calling out shapes. 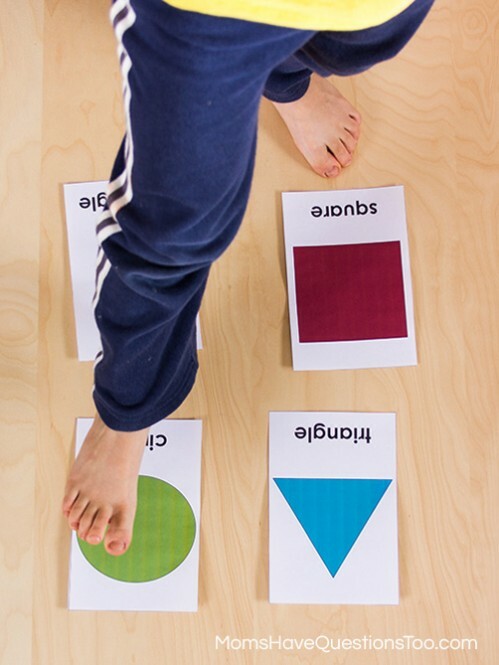 While playing this with Little Bear we turned it into a little game of twister… Right foot rectangle, left foot triangle.